YOU ARE HERE:Home » Fitness » Good News – Every Bit Counts When it Comes To Exercise! Weekend Warriors take heart! According to a study published early this year in JAMA Internal Medicine those who work out only once or twice per week still reap significant health benefits! The study followed roughly 64,000 people who were at least 40 years old for 18 years through the use of surveys. The study’s authors looked specifically at death rates from cardiovascular disease and certain cancers. They say that the data collected showed a 30% lower risk of overall death for active adults versus inactive adults. The good news is that the category of ‘active adults’ encompassed a broad range of physical activity profiles. Those who are only active on the weekend, often referred to as ‘Weekend Warriors’ saw the same improvement as those who are considered ‘insufficiently active’ – perhaps only working out once or twice over the course of a week. And both of these groups shared the same lessened risk of death with those who logged three or more workouts per week. The World Health Organization currently suggests that folks try to log 150 minutes per week – or 30 minutes a day for 5 days – of moderate intensity exercise and vigorous activity for at least 75 minutes per week. For many, though, family and work schedules, seasonal fluctuations in weather as well as physical challenges make this a tough target to hit with consistency. 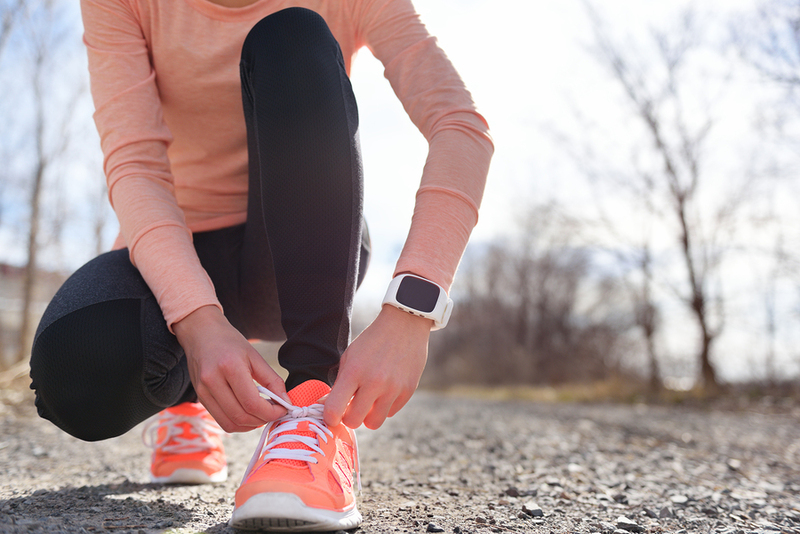 The news that every little bit counts is heartening indeed and can provide the motivation necessary for many to lace up those sneakers – if only for 15 minutes at a time! The study analysis did not specifically state which types of exercise the participants included in their routines, but many other studies underscore the importance of combining both cardiovascular and resistance training to get the most benefit from your workouts. Cardiovascular exercise raises the heartrate aiding in blood pressure regulation and weight reduction. It positively impacts cholesterol levels, contributes to better sleep and can even increase insulin sensitivity. Not to mention that every time you hit the treadmill, you are building up your tolerance for exercise and physical activity, leading to more frequent and effective future workouts. 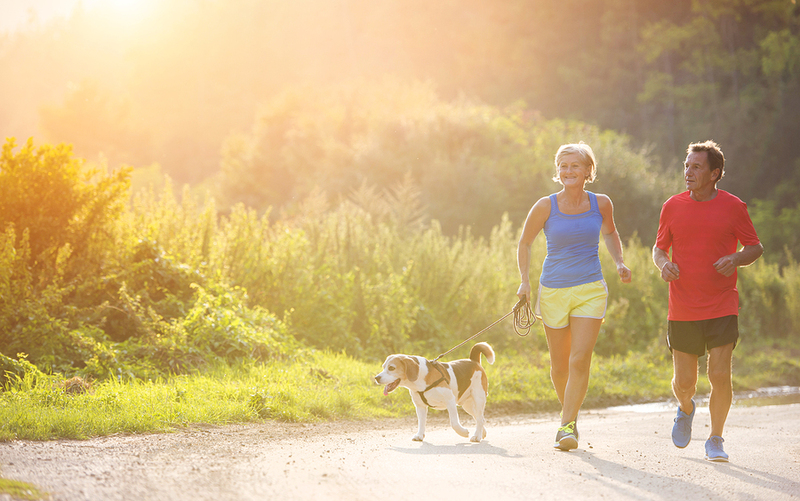 Walking is an excellent way to begin a cardiovascular program. As you build up your tolerance, stamina and strength you can begin to add light weights or even progress to jogging intervals to raise the heartrate even more. Running not your thing? Don’t worry – a 2013 study found that moderate intensity walking yielded roughly the same benefits as high intensity running! Resistance training is the use of weights, or resistance to gravity, to aid in the building of muscle. Also referred to as ‘strength training’, this type of activity has numerous health benefits. Perhaps one of the most beneficial being an increase in the ratio of lean muscle mass to fat, thereby intensifying the body’s ability to burn even more fat. In particular, the ability to burn ‘visceral fat’ has been noted. Visceral fat is the fat that accumulates around internal organs. Many health professionals recognize this as one of the more dangerous types of fat to accumulate. Additionally, strength training can improve balance, coordination, cognition and self-esteem. It has been scientifically shown to have a positive impact on a myriad of health conditions that primarily affect women such as Polycystic Ovary Syndrome (PCOS), diabetes, osteoporosis and fibromyalgia. Women are busy. We’ve got children and jobs and homes and spouses. Many times it is our own personal health and well-being that takes a back seat to the many responsibilities we face on the daily. But that is why we are here at Women’s Health together, right? We recognize the benefit in coming together to learn and grow and support each other. So today your challenge is to start small. If you aren’t currently making time for exercise, set a timer for five minutes and tell yourself you can stop when it’s done. Maybe tomorrow or next week you’ll be able to set the timer for 10 minutes. Who knows where you will find yourself this time next year if you just start small today. And if you already count yourself as one of the ‘sufficiently active’ – perhaps you already work out two or three times per week, then your challenge is to see how you can take it to your own personal next level. Can you incorporate the use of weights? Take a new class at your local gym? Recruit a friend to keep you committed? There are so many different physical ways to impact your health and many of them are covered right here on the Women’s Health website – yoga, strength training, cycling! Even ideas on how to save money as you make these healthy changes or how to get back on track when progress has stalled! 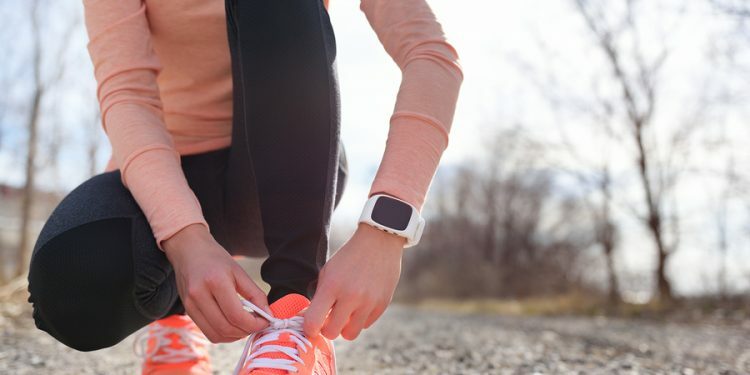 The new research highlights the importance of getting up and getting out – no more sitting on the couch lamenting the lack of time, money and resources at your disposal as a means to inhibit your healthy choices. Now you know that every little bit helps –and knowing is half the battle! Williams PT, Thompson PD. Walking vs running for hypertension, cholesterol, & diabetes risk reduction. Arteriosclerosis, thrombosis, and vascular biology. 2013;33(5):1085-1091. doi:10.1161/ATVBAHA.112.300878. Strasser B, Pesta D. Resistance Training for Diabetes Prevention and Therapy: Experimental Findings and Molecular Mechanisms. BioMed Research International. 2013;2013:805217. doi:10.1155/2013/805217. Shanb AA, Youssef EF. The impact of adding weight-bearing exercise versus nonweight bearing programs to the medical treatment of elderly patients with osteoporosis. Journal of Family & Community Medicine. 2014;21(3):176-181. doi:10.4103/2230-8229.142972.